How do users construct search queries and navigate your search results? 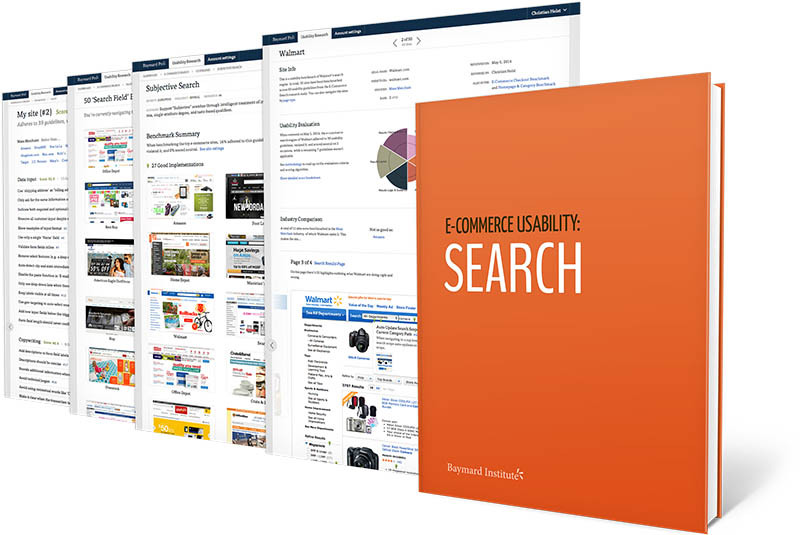 This study is based on extensive usability research on how users construct product search queries and navigate the results on e-commerce sites – condensed into 49 search UX guidelines. A group of users age 21-56 were recruited to test 19 leading e-commerce sites across 8 different verticals. Despite testing multi-million dollar sites, more than 700 search-specific usability issues arose during testing. 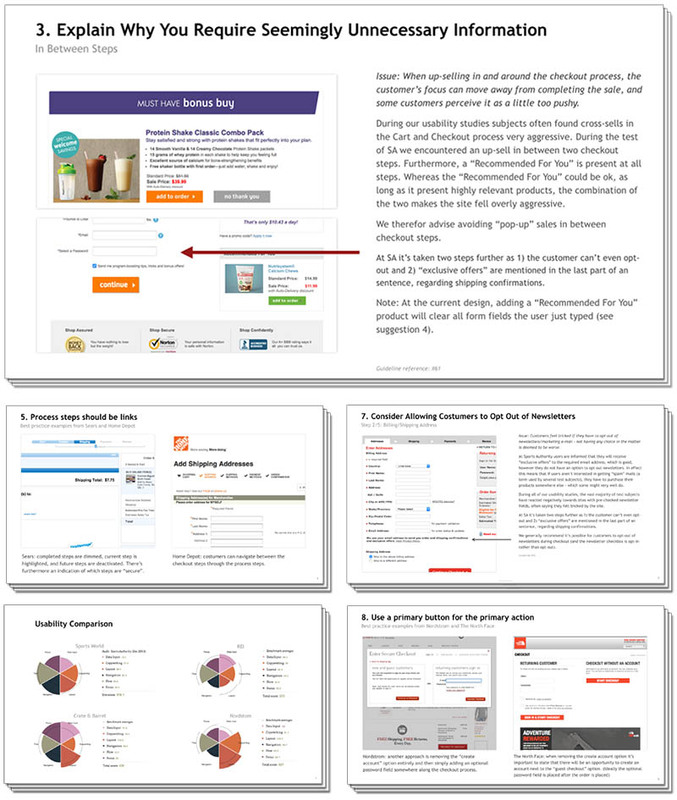 All these issues have been analyzed and distilled into 49 guidelines on search usability. From this research study you’ll learn exactly what users expect as they perform searches on e-commerce sites, what typically goes wrong in the process, why it goes wrong, and exactly what changes to make to avoid these issues. In short: how to design a high-performing search experience for your users. After all, if users can’t find what they are searching for, they can’t buy it from you. While many of the 49 guidelines will be on search logic, more than half of the guidelines are simple design and interaction changes for the search field, autocomplete functionality, and the search results page, as these elements proved to have just as crucial an impact on the user’s ability to find what they were looking for. This page provides you an overview of our research specific to E-Commerce Search UX. During our large scale Search usability study, the test subjects were observed to rely heavily on e-commerce search queries that included either a Theme, Feature, or Symptom, yet most of 19 tested multi-million dollar sites had poor support for these query types. Even among the top 60 grossing US and European e-commerce sites, only 34% support such search queries. In fact, search support is so poor that 31% of all product finding tasks ended in vain when users tried using search. 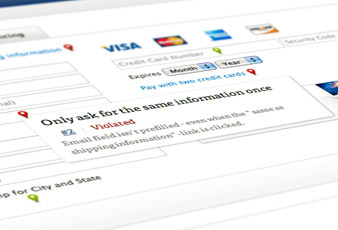 And among the top 60 e-commerce sites, a whopping 70% of the search engines are unable to return relevant results for product type synonyms – requiring users to search using the exact same jargon as the site – while 34% of the sites don’t return useful results when users search for a model number or misspell just a single character in a product title. Our Search UX benchmark database contains 5,300 search elements that have been manually reviewed and scored by Baymard’s team of UX researchers, with an additional 2,400 best- and worst-practice examples from 60 top-grossing e-commerce sites in the US and Europe. The current overall lacking state of e-commerce search shouldn’t be understood as “users cannot use search on the benchmarked sites.” However, it is a clear indication that e-commerce search isn’t as easy to use as it should be and that users’ search success rates can be improved dramatically on most sites – even when looking at 60 major e-commerce sites. Generally, a high prioritization of the search experience is needed to catch up with those few sites who have a years-long head start, but it is achievable. Furthermore, as the poor overall state of search is present within all industries, most sites will have an opportunity to create a true competitive advantage by offering a vastly superior search experience compared to that of their competitors. Since a poor-performing search experience can, aesthetically, look just as good as a high-performing search experience, gauging one’s own or a competitor’s search experience will require extensive testing and evaluation. Explore design patterns across 426 examples of e-commerce search designs and features from leading e-commerce sites, organized into 4 different categories. This is a great way to get inspiration for your own search design, and to get a feel for emerging trends in e-commerce search. The prerequisites for a great search experience: understand the 12 different types of search queries that users typically submit on e-commerce sites, which your site’s search engine needs to support. Search form design and function, both pre- and post-search, with usability considerations on the design and behavior of the search field itself, query persistence, search scope selection, etc. How the autocomplete (also known as ‘predictive search’) should be designed, the types of suggestions it should make (products vs queries), keyboard input behavior, and more. How to create a seamless query integration process, including how to guide users toward better paths through methods such as suggesting new queries, scopes, and ‘No results’ pages. Layout and design of search results and how to implement filtering, dynamic list layouts, search snippets, loading more results, faceted search filters, value truncation, filter naming, dynamic sorting, and more. Baymard Premium also gives you access to an additional 64 reports with 640+ research findings on topics such as Homepage & Category Navigation, Product Listings & Filtering, Product Details Pages, Checkout, Mobile E-Commerce, and Accounts & Self-Service - the complete set of findings from Baymard’s 37,000 hours of large-scale UX testing & research. What are the 15 most important changes you can make to your e-commerce search engine and interface? We will put together a detailed 40-page report of the 15 most important usability improvements you can make to your e-commerce search design and logic.